Architectural heritage comprises one of the most important elements of mountain settlements in Greece. It holds high cultural value, represents the tangible continuation of the past and forms the unique character and identity of each mountain region. Yet, controversy regarding funding for its preservation often arises. 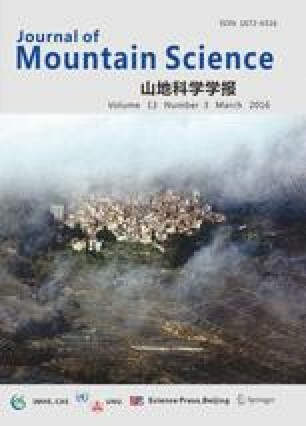 In this paper, we used two Contingent Valuation surveys to estimate the social benefit deriving from protecting the traditional architecture in the mountainous village of Sirako and, through it, to examine perceptions and attitudes of local residents and visitors. Research findings revealed a strong social will in favor of the good’s protection followed by high percentages of positive willingness to pay (WTP). However, WTP is significantly higher among residents. Cultural heritage value, of the good, appears to prevail, along with the environmental one. However, both residents and visitors pointed out that local heritage, if well-preserved, will boost tourism development. Residents appeared to better recognize the true level of architectural decay, expressed higher apprehension for its protection and were willing to pay higher amount of money. Tourists, on the other side, expressed high satisfaction for their visit, appreciated the beauty and serenity emerging from local built and natural environment and spent several days visiting the surrounding area. The longer they stayed and got familiar with the village, the more willing they were to contribute to local heritage’s protection. Percentages reflecting indifference for protecting architecture were extremely low. Yet, they were higher among tourists. Traditional architecture is considered as public good; an opinion resulting in an important percentage of visitors stating that national government should provide the necessary funding. In addition, the architecture appears to hold a high level of topicality. Those descending from Sirako or emotionally connected to it, of both social groups, turned out to be more concerned about the good and with a stronger sense of responsibility for it. Use-value of the good holds high economic value, as well, while higher percentages of zero WTP appeared among non-users. Research findings revealed social attitudes and perceptions on what constitutes architectural heritage, in its cultural and economic frame. If taken under consideration, they may form useful drivers for local, heritage-based, sustainable development.